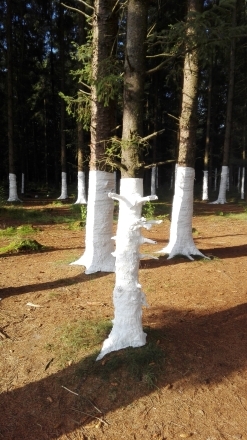 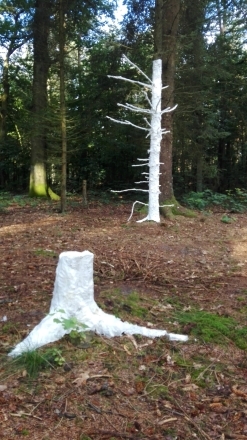 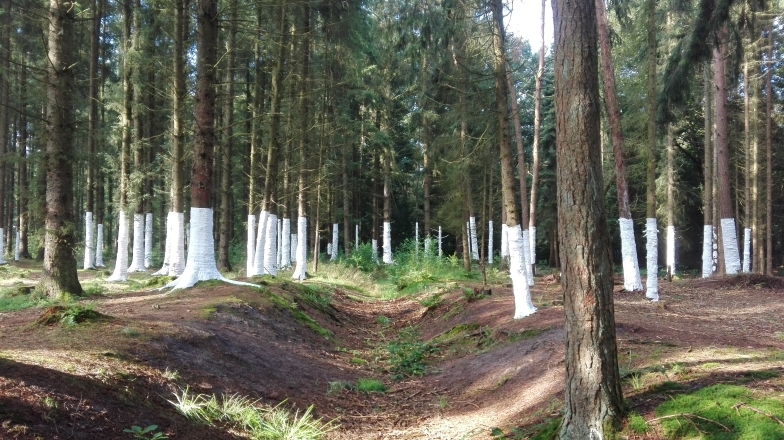 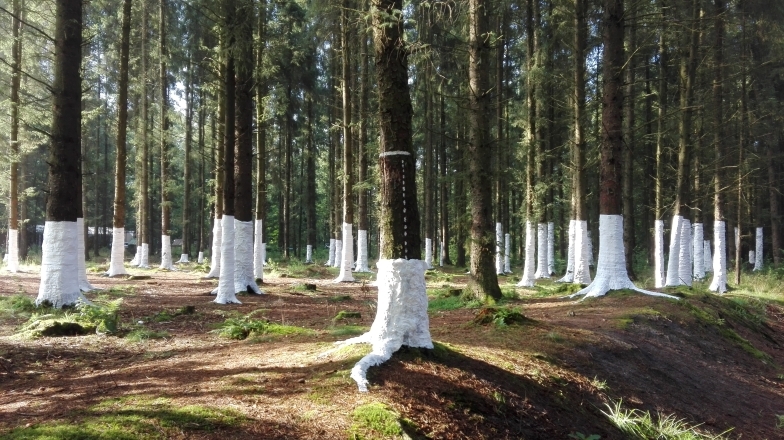 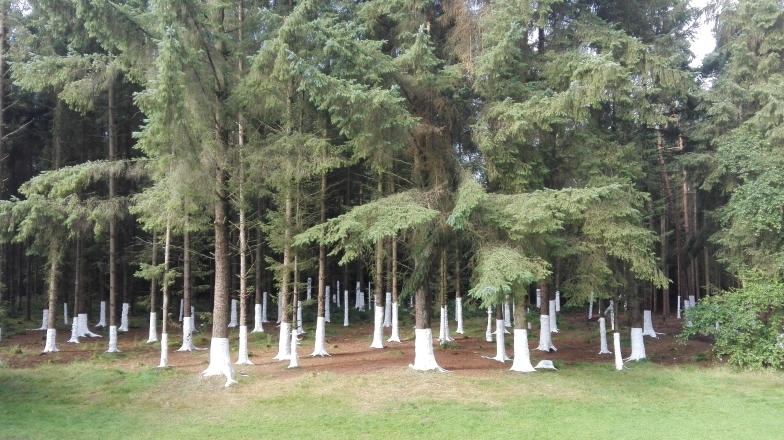 101 trees covered with paper by 25 participants for the realization of the project, Buitenkunst Drenthe is an initiative from artists that started in the 60’s in The Netherlands. 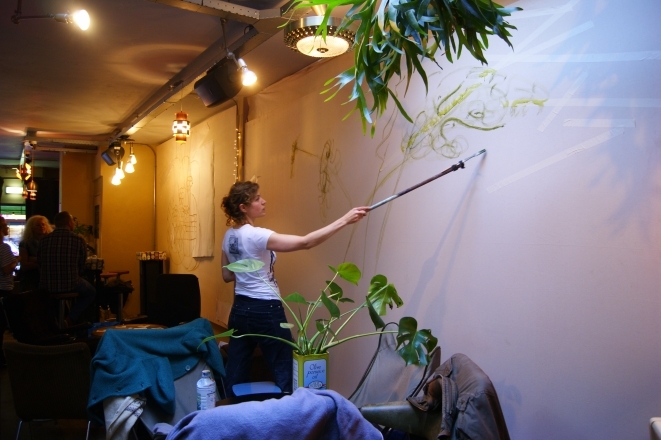 During one week in the summer, a team of artists of every discipline are hosting daily workshops to the campers (participants). 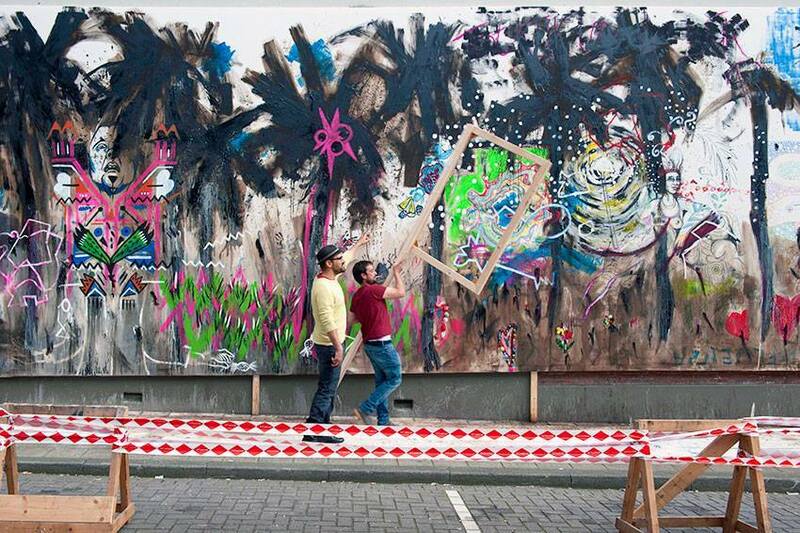 Paco Dalmau was one the guest artists invited that year. 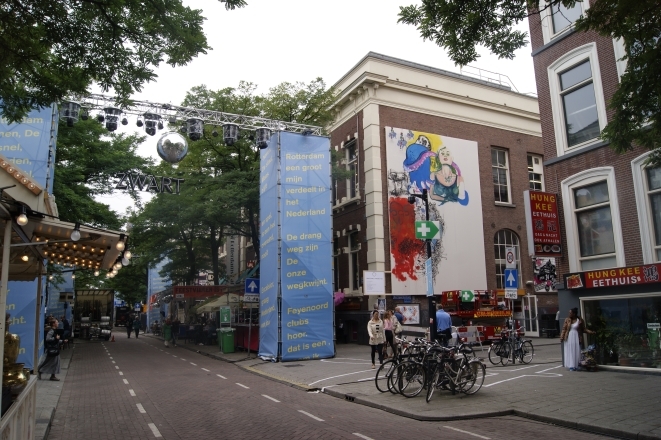 Theater, performances and music happened between the installation during that week. 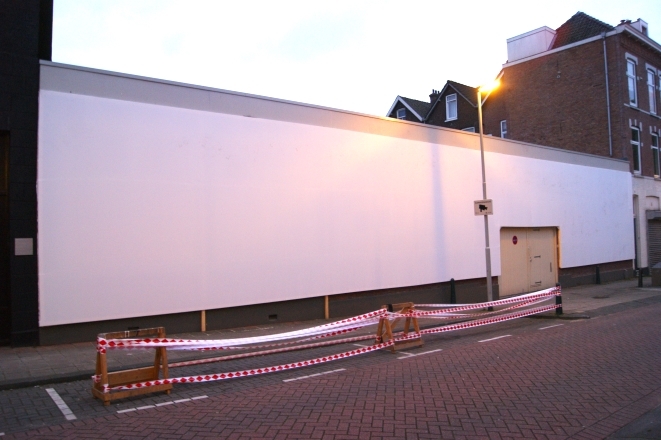 8m x 6m, acrylic on canvas on wooden frame. 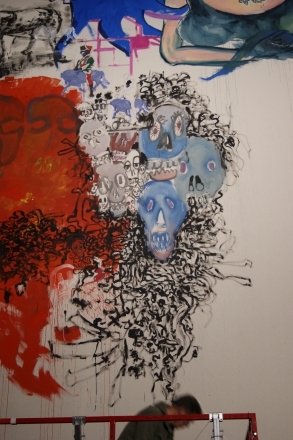 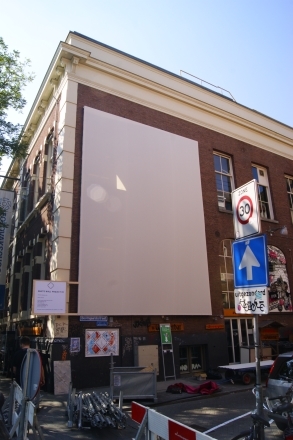 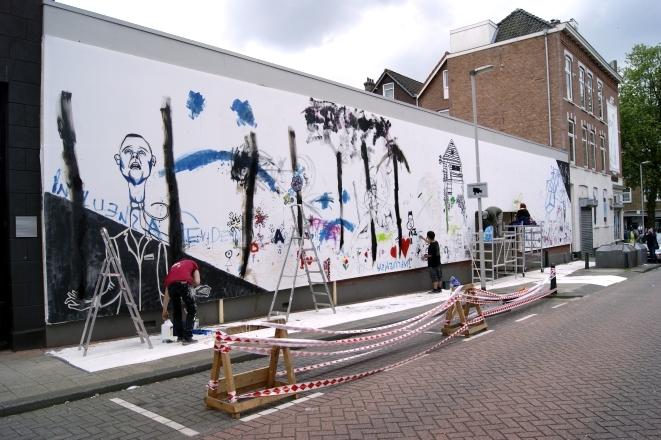 6 artists were invited to perform on the big canvas. 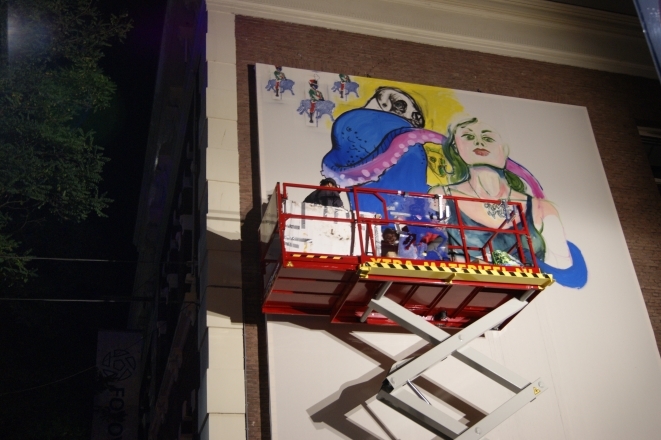 Given the great effort of the artists and the result of the painting during the 3 days of the Festival. 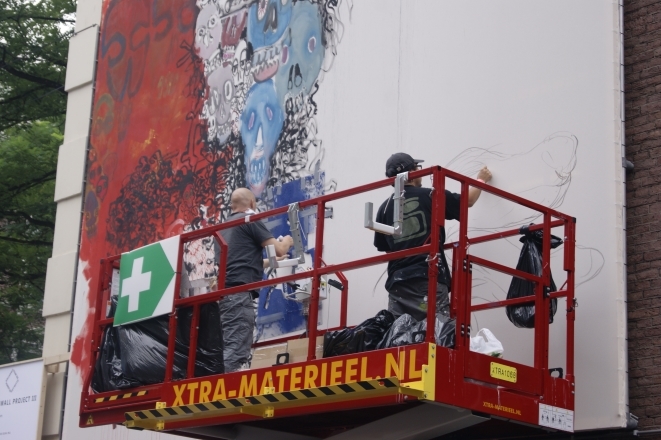 The organization decided to extend the exhibition period of the painting for 3 months, until November 2015. 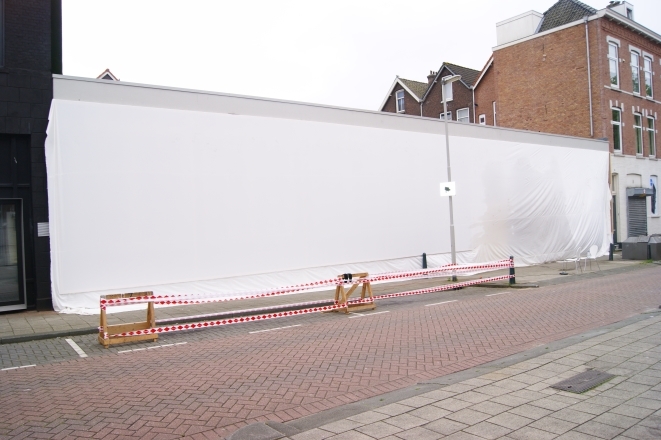 25m x 5m, acrylic on canvas on wooden frame. 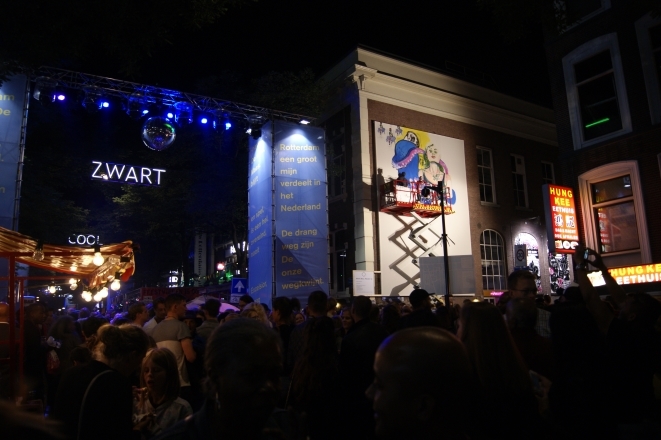 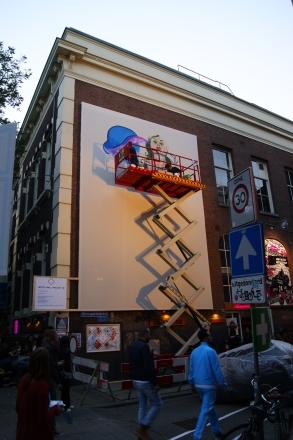 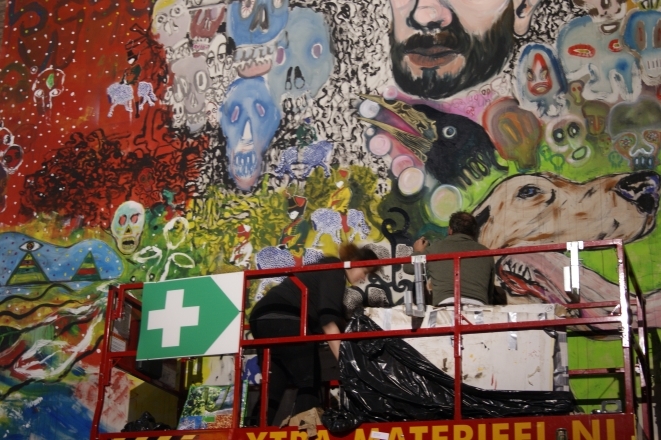 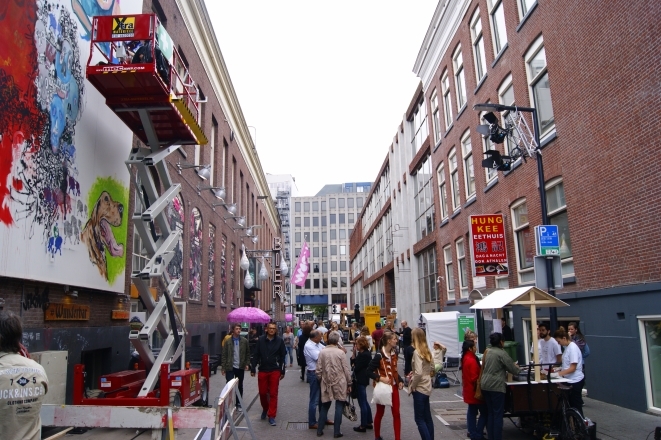 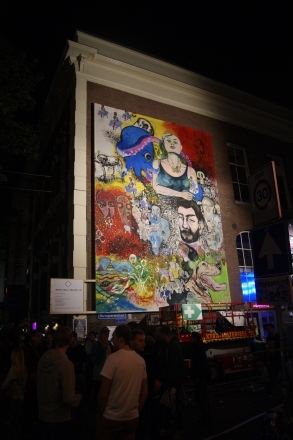 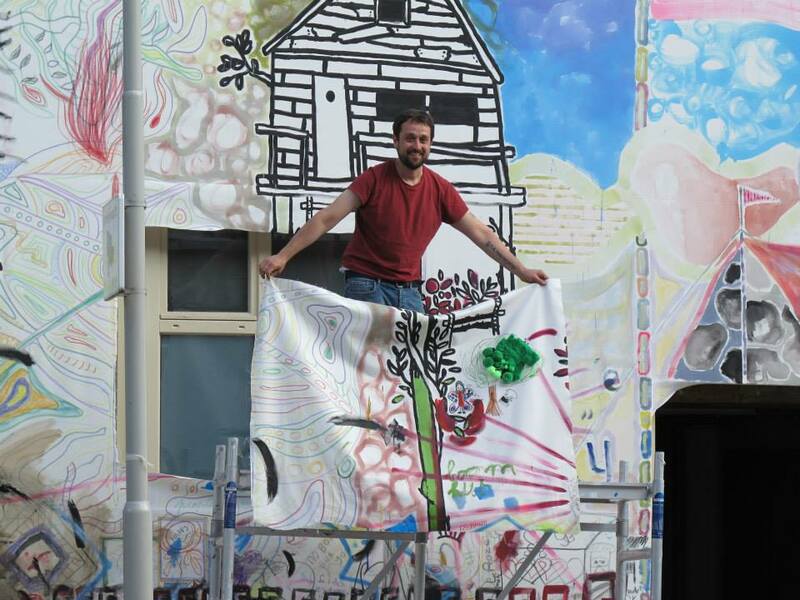 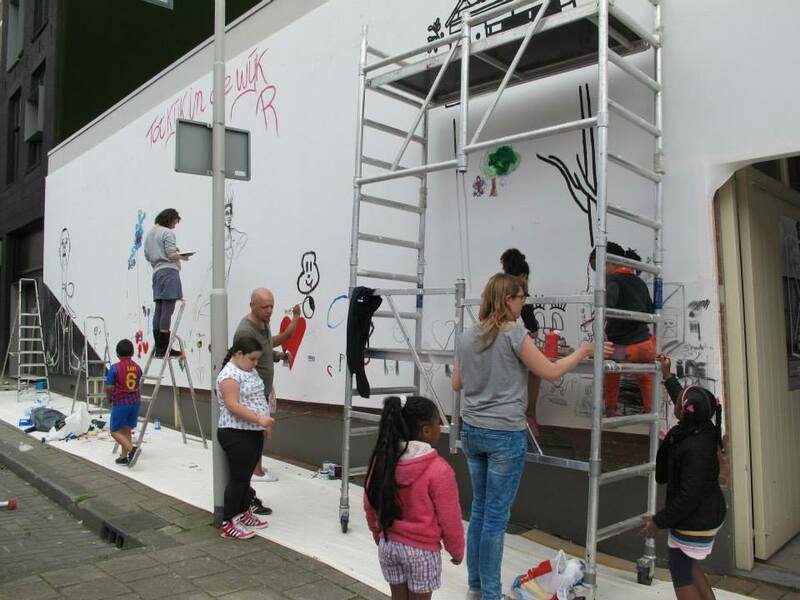 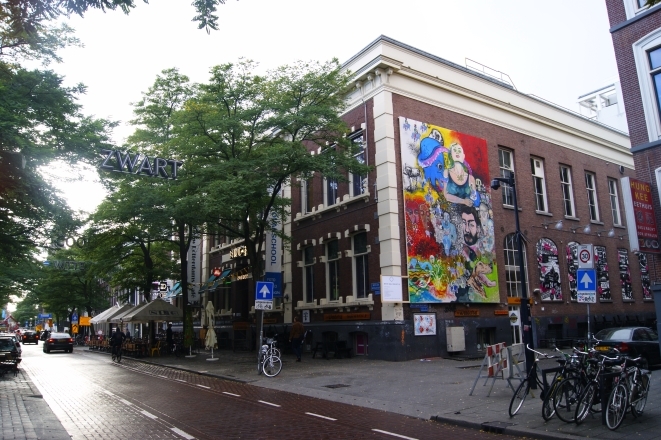 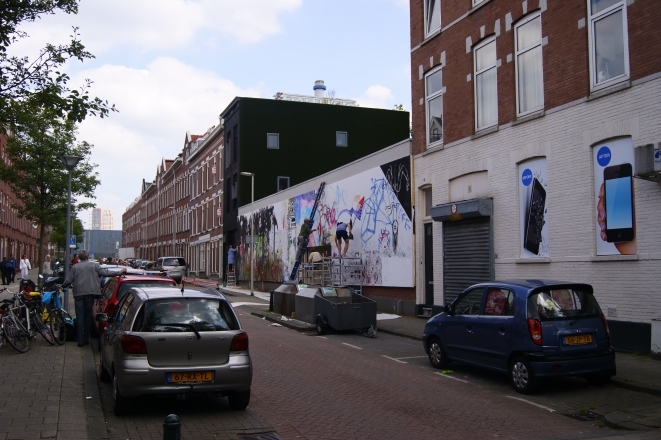 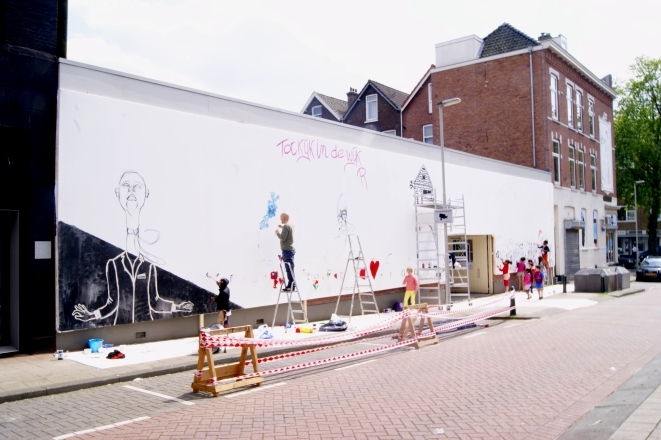 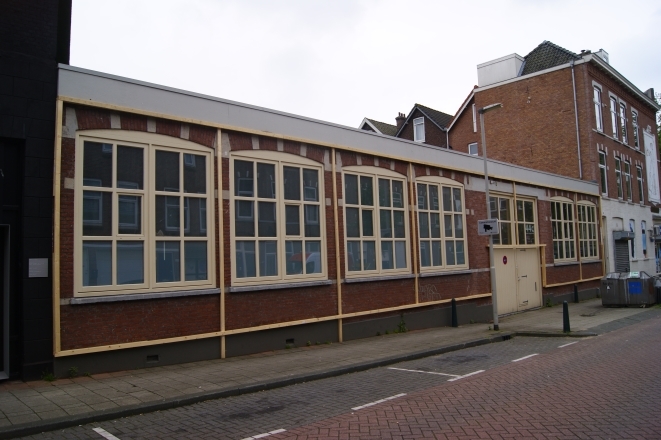 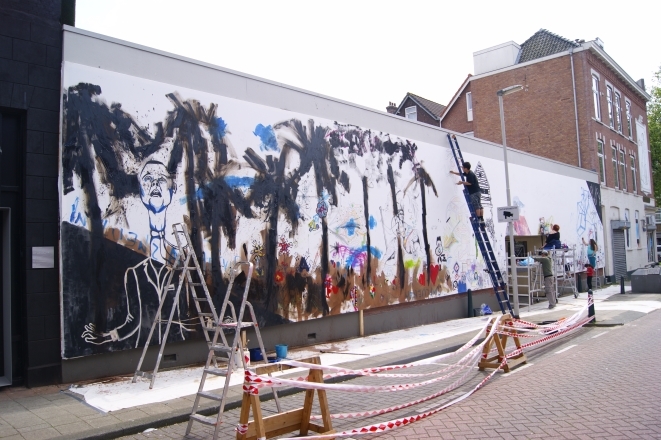 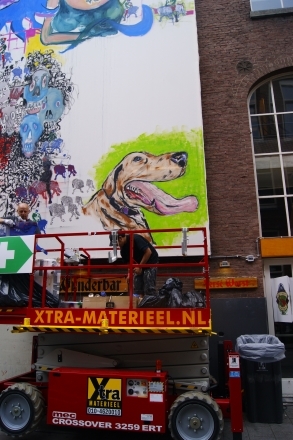 15 artists residents in Charlois were selected,cultural associations from the neighborhood and children from the schools in the area where working in the big canvas during the 4 days of the Art Festival in Rotterdam south. 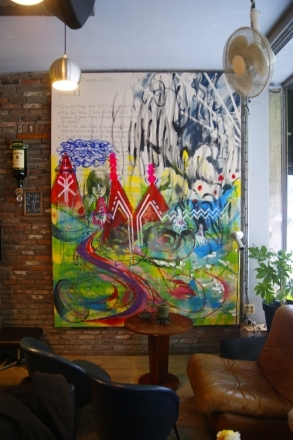 5 pieces on the walls: total 3,5m x 15m, acrylic on canvas on wooden frame. 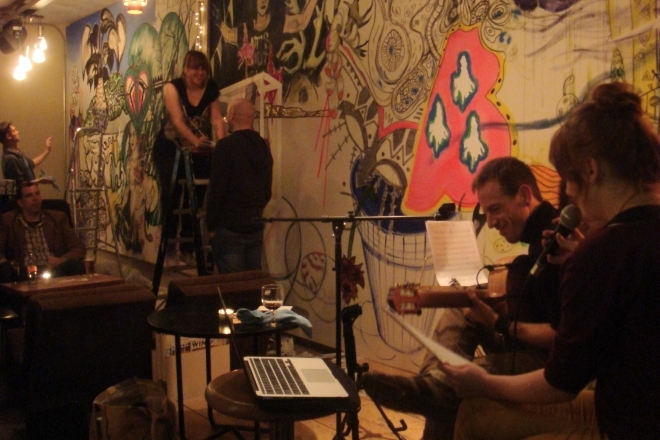 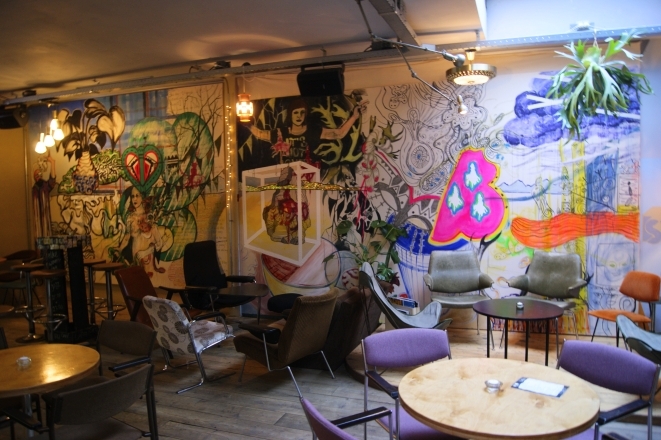 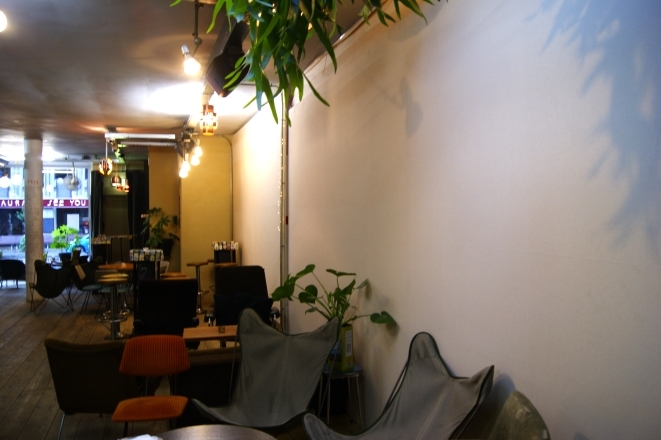 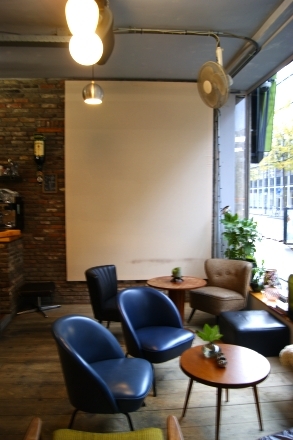 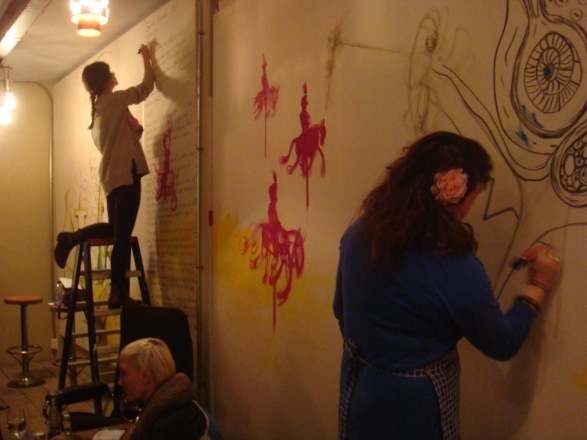 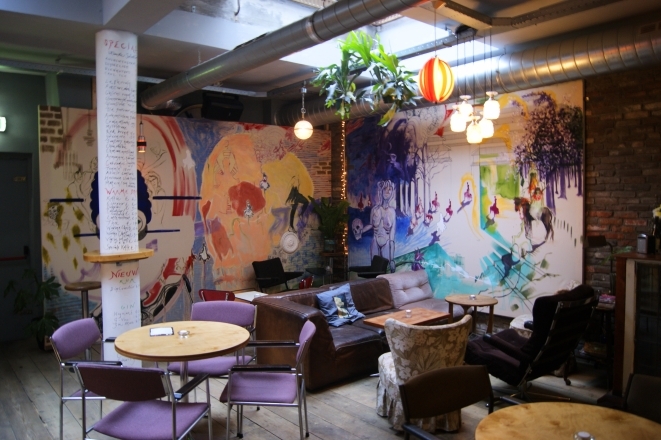 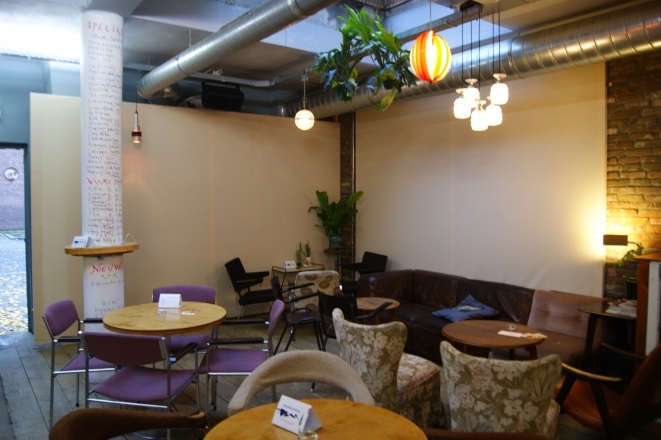 9 artists were invited to the 1st edition of the project, the intervention took 4 weeks to be perform, having the atmosphere of the café different every week.